We are proud to offer the highest quality panels available. Our lightweight, portable and durable handcrafted panels provide a superior archival base for your work and are ideal for use when painting en plein air or in the studio. If you need a custom size, go to our Special Order page and click on the panels. 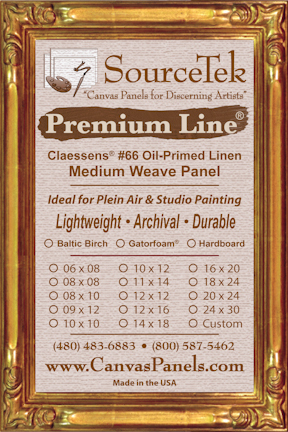 SourceTek pre-packages panels for you in convenient 5-packs in order to keep prices down. Listed below are the per panel prices and quantity discounts for each panel size. Your Shopping Cart will automatically calculate your savings. Want to try something different? 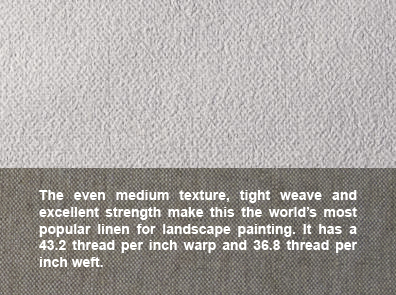 As you know from time to time we introduce Limited Edition runs of specialty Claessens linens for you to experiment with new surfaces in creating your art. Custom sizes are available in all substrates and canvases. Visit our Custom Order Page for a quotation! Our panels are handcrafted with pride in the U.S.A.! Select the desired product group from the chart above. Check the box next to the size you would like to order and enter the number of 5-packs you want in the "Qty" field. Please note that panels are sold in packs of 5 each on sizes up to 16x20, and individually on sizes 18x24 and above. Check the box and enter the number of 5-packs desired in the Qty field. and individually on sizes 18x24 and above. For custom sizes, please go to our Custom Ordering page. Please note that sizes below are sold individually.